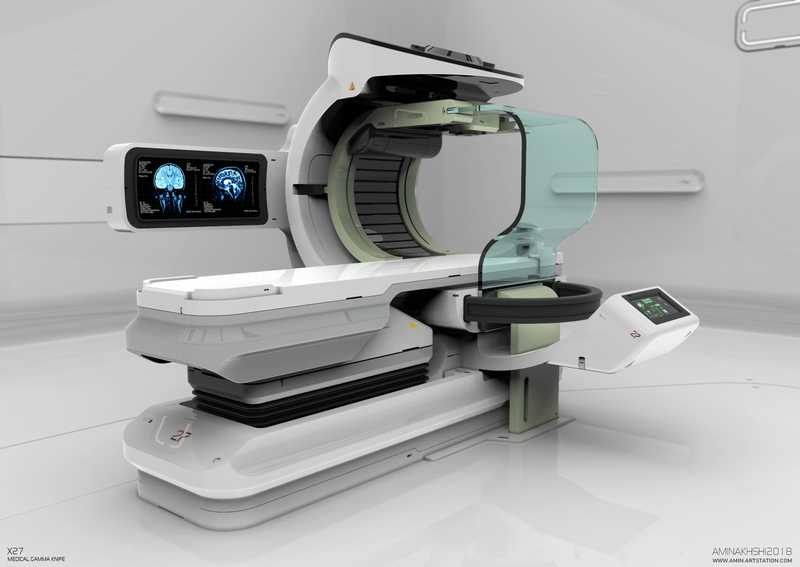 Here is a concept for a Medical Gamma Knife which is a kind of radiation therapy device and can be used to treat brain tumors as well as neurological disorders. The advanced robotic technology on this design will help to move the patient in submillimeter increments during treatment to focus radiation successfully on all parts of the target. Gamma Knife enables patients to undergo a non-invasive form of brain surgery without surgical risks, a long hospital stay or subsequent rehabilitation.